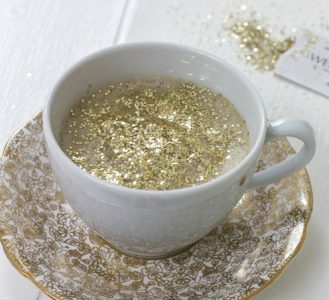 This blog is titled Coffee and Glitter, my two favorite things in this Universe. The two main elements which run through my blood, gives me sustenance and vitality and in short, keeps me alive. Of course I am being somewhat facetious given that neither coffee nor glitter are actual life-force elements needed to survive on this planet. That being said, I am addicted to both in different doses and both bring me happiness and joy and lead me to believe I live on a sparkly unicorn-rainbow contraption where I live out all my wildest fantasies and everything I wish for comes true. But Esti, you may ask, you are not living in reality. This view on life is not realistic! Life is not all shiny rainbows and sparkly unicorns! To which I answer, you are not wrong because a person’s reality changes and conforms to their perception of the world. Forgive me if I sound as if I am bragging or boasting, but I CHOOSE to see life through the sparkly-unicorn lens, therefore my life is shaped around my viewpoint of reality. I do not face reality, but rather I create it. Let me tell you ladies and gents, that this is probably the greatest breakthrough of our times. We are living in a magical reality today. And don’t get freaked out because I am not referring to magic in the witchy woo-woo, voo doo sense. I mean magic in way that everything flows for you, everything aligns for you. You think a thought and it is almost immediately manifested. You live on a crazy high vibration. Wham-bam-thank-you-ma’am vibration. Unfortunately there are a lot of humans who do not grasp this concept of high vibe livin’. To be clear I am not condemning those who are going through horrific trauma or illness. But us everyday folks, boppin’ along in our everyday lives, complaining lamenting our lives, when in reality we have it so much better than most of the world. It’s important to keep things in perspective and remember how freakin good you have it. Because when you begin to see your life and others around you through the eyes of Source, I promise everything begins to change. Through this blog I want to share my experience and encounters through using the Law of Attraction and riding my unicorn. I’ll share my ups and downs about how I fall off my unicorn and how I get back on. Can’t wait to take y’all along for the wild ride! Sending you all love and light! P.S. I got the idea for the name from the glitter cappuccino trend. Edible fairy dust is life.